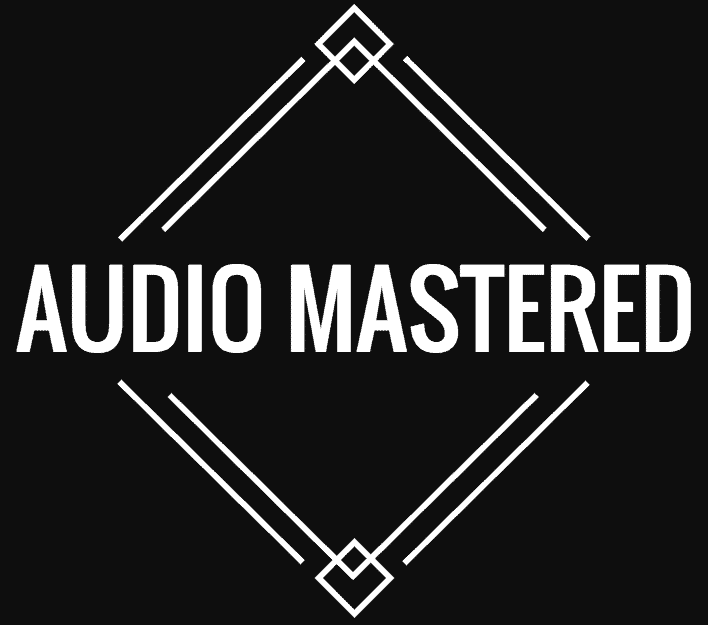 The more you learn about audio the more you relize that speaker placement is absolutely crucial to getting the most out of your speakers. There is no point in spending over $500 on speakers only to have the sound muffled by your ottoman. This is why so many people turn to wall-mounted speakers – the versatility is worth the extra effort! If you live in a small apartment and are a bit tight on space, the best way you immerse yourself in surround sound is having the speakers mounted on walls. 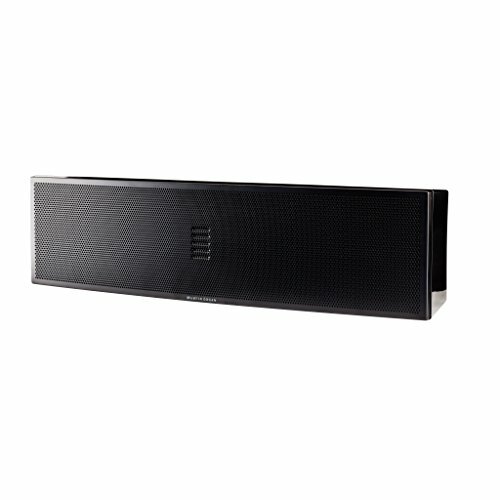 What Speakers Can Be Wall Mounted? 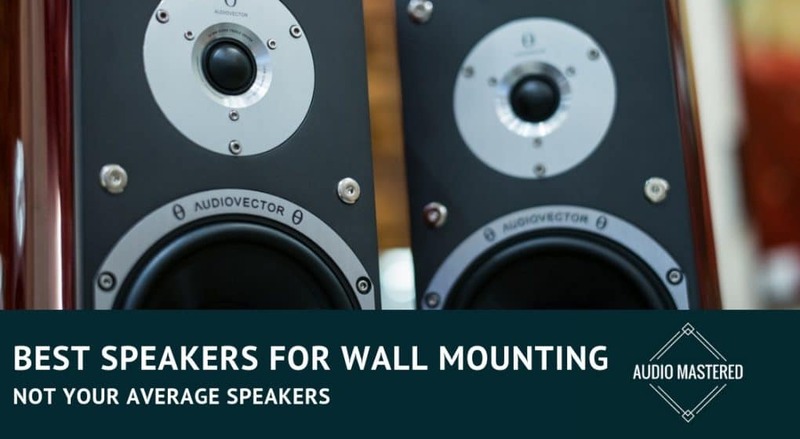 Almost every type of speaker can be wall mounted. However, when we’re talking about home theater systems, you should leave the subwoofer as well as any tower speakers on the floor. What it really comes down to is the size and compatibility. Can they easily be hung using keyhole brackets or wall mounting shelves? Does the rear of the speaker allow for the wiring to enter while the speaker is flush with the wall? While technically you can mount any type of speaker to the wall, everyday bookshelf speakers are going to be a pain. Wall mounted speakers will be designed to sit flush against the wall bracket while still leaving enough room for the speaker wiring. 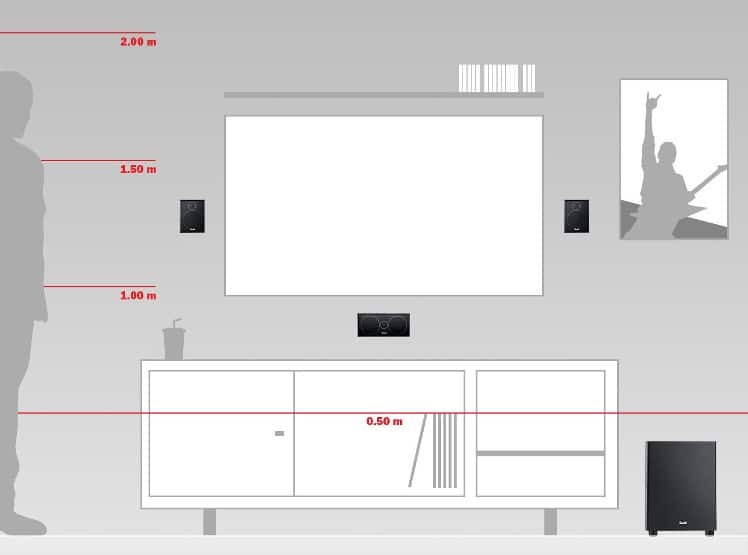 The exact location of where you should mount your speakers is going to depend on the room dimensions. Basically, you’re going to want to know where your sitting position is going to be and base all your speaker placement around that. Follow the diagram below for a simple explanation. Center speakers: Centre speakers should be placed above or below the TV screen, but preferably at least 40 cm above the floor. Front speakers: Place these at ear height when mounting to the wall. Keep them at least 3 feet away from any side walls. If you have tower front speakers then just leave them on the floor. Typically you will want to place the front left and right speakers approximately 4 to 6 feet on the left and right side of the television. Front speakers should be at the same height as each other, and the same goes for the rear speakers. The rear speakers should be behind the seating and placed 2 to 4 feet on the left and right of the seating. Surround speakers: Typically, the surround speakers that come with a home theatre are compact and lightweight. That is why the surround speakers make ideal wall mounted speakers. Surround speakers should be placed at least 3 feet above the floor. Their exact height will depend on the type of speaker. If you are unsure, just aim the speaker towards your seated position at ear height. The same applies to dipoles and direct radiating speakers. Compatibility – know what your system needs (5.1 or 7.1) and what the speaker you’re buying can handle. The biggest thing here is compatibility with your existing system. Know what you need before you buy! Obviously we want the most bang for our buck. And there is one thing that has always been true in audio – home theater systems are very overpriced! That doesn’t mean we still can’t find some kick without spending 1000s of dollars. This is a multipurpose home theatre speaker that comes with wall mount brackets for easy mounting – easy! First hitting the market back in 2010, MartinLogan Motion 8i series was a revolution both in terms of their affordable pricing and how much speaker you get for the price. Initially, they didn’t pay much attention to how the speakers would look: they would come in the traditional boxy shape. However, after the recent upgrade, the Motion 8i series is finally aesthetically appealing. The upgraded speakers sound more consistent, more refined with a better transition between midrange and treble, and they also offer improved off-axis performance. With powerful bass technology and wonderful Folded Motion tweeters, MartinLogan Motion 8i offer detailed and clear high-end sound. These speakers also have Precision Vojtko™ crossover topology that offers exclusive air-core coil inductors for a perfect sonic performance. The speakers can be mounted vertically or horizontally. The mounting process really simple – perfect for those who don’t consider themselves handy. If you can mount a shelf to a wall you can mount these speakers! Based on Amazon reviews, some users have found these speakers to be not as loud as their predecessors. These speakers also like to be loud to really get the most out of them. Something to consider if you live in an apartment. The KEF T301c measures 1.25 inches deep and includes two 4.5 inch double-layered mid-frequency driversm and a 1 inch aluminum tweeter. 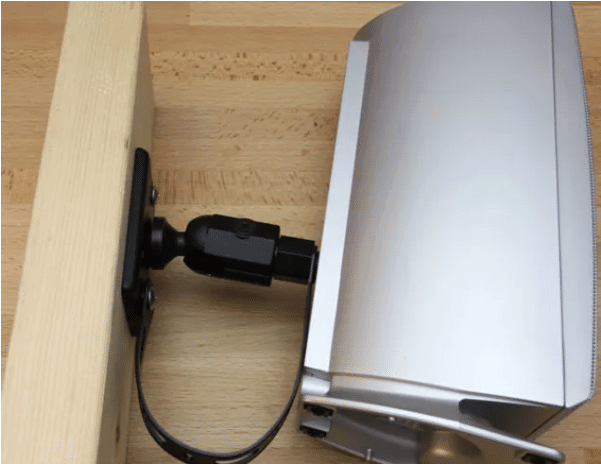 The T301c can be mounted to your wall, or be put on its own stand for added mobility. The ultra-thin KEF T301 wall-mount speakers are a great crafty center channel that offers vivid center stage and crystal-clear dialogue able to fill large rooms with high-quality sound. The KEF T301C speakers measure only 1.25 inches deep and have a 1-inch aluminum tweeter and two 4.5-inch double-layered mid-frequency drivers. Similar to the MartinLogans, these are easily mounted to the wall. The upgraded speakers feature 1-inch tweeter that has been completely redesigned allows for extraordinarily accurate reproduction, especially of the human voice and effortlessly pure high notes. Even at high volumes, the tweeter produces clear sound which is outstanding. Equipped with the new twin layer bass, the speakers eliminate unwanted resonance. When you buy these speakers what you get is none of the bulk but all of the distortion free and clean sound we’re all looking for. People may have difficulty hooking them up using the banana connector as they don’t leave a lot of room as the back of the speaker. 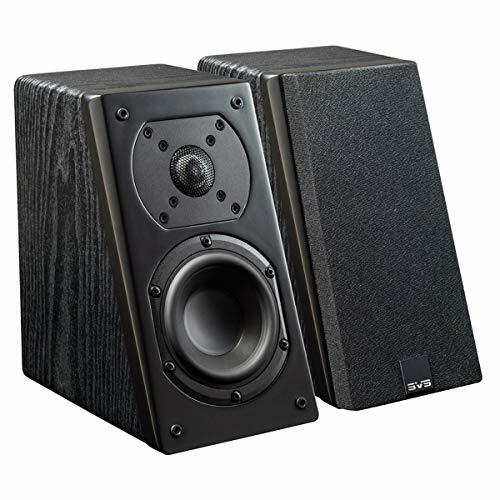 The world's most versatile high-performance home theater speaker, SVS Prime Elevation delivers stunning performances as an uncompromised, full-range Dolby Atmos height effects speaker and as an installation-friendly, multi-purpose home theater speaker. Ideal as a DTS:X or Dolby Atmos speaker for height effects because it directly radiates immersive, full-range sound to the listener without the frequency response limitations and perfect room conditions required of reflective "ceiling bounce" speaker designs. Precision tuned SoundMatch crossover, painstakingly refined 1" aluminum dome tweeter, authoritative 4.5" mid-woofer and acoustically inert cabinet converge in a speaker engineered for maximum sonic impact and immersion. Among the 3 main 3D immersive formats (Dolby Atmos, DTS:X and Aura – 3D), the SVS Prime Elevation offers them all. Thanks to its angled baffle, these speakers can be used as center channels, rear surrounds or side surrounds allowing for crystal clear and dynamically charged sound. Despite its quality, SVS hasn’t been discovered by the average consumer because the company does not sell its products in big box stores. Specialising in subwoofers, the company started selling loud speakers only since 2013, under the new direction of CEO Gary Yacoubian. Their budget friendly Prime Series speakers have garnered worldwide praise. If you are after immersive three-dimensional audio but not eager to break the bank, then the SVS Prime Elevation series could be a great choice. If you have been using floor standing speakers that do not offer Dolby Atmos, you have no idea what you are missing out on. Buy these speakers! If you need immersive audio, 2 channel or multi-channel audio, the SVS Elevation speakers handle them all. Buy a pair of these and you can get a dipole or a bi-pole surround sound experience. Aesthetically appealing, the speakers come in 3 colours: gloss white, high gloss black and ash black. Thanks to its angled design, you can position the speaker higher or lower than a traditional satellite speaker. It has been praised for its ability in re-creating the height effects with great precision. Mounting should be a breeze since all the hardware is included. Even though all the hardware is in the box, users may face issues wall mounting it – may need a handyman! Also, you may have to use spade lugs or bare wire since there is not enough space behind the wall bracket to accommodate banana plug speaker terminals. Some users have also complained that the speakers lacks low frequencies. No matter what your needs are: savoring the guitar performances or experiencing the car chase and explosions in your favorite movie, you can be at the center of it all with the Bose Surround Speakers. 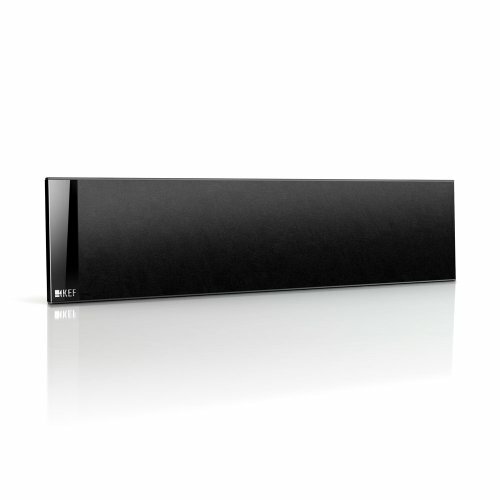 If you own the Bose Soundbar 700 or the Bose Soundbar 500, these speakers are the perfect pairing. Even though the Bose Surround Speakers are the smallest speakers ever designed by Bose, when these are on the focus will be on your home entertainment not on your speakers. The speakers are easy to set up. No handyman required. All it takes is plugging them to a power source and then you can wirelessly connect the receivers to the sound bar. Note, you’ll need a Bluetooth compadiable receiver. For the wireless set up you’ll need Wi-Fi, Bluetooth and a smartphone, which is pretty common in every household these days. The advantage of wireless connectivity is that you no longer have to endure the miles of trailing speaker cables. It offers truly immersive 360-degree sound. Disappointment is not an option with these top-notch surround sound speakers. Looking through online reviews, I wasn’t able to find any criticism of these great little speakers. The only complaint we found so far was regarding poor customer service that Bose provided. Since these speakers are meant to be used in conjunction with your existing Bose Sound bars, if you use them alone, you might be disappointed with the bass production, even though it will make for it in surround sound simulation and clarity. The exact speaker you choose is going to depend on your setup. Home theater systems are not cheap! If possible, I’d recommend the KEF T301C paired with the SVS Prime Elevation Speakers to get you started. You can build out your system with a subwoofer and additional satellite speakers as you learn. If you haven’t chosen an amplifier, I have an article here outline my favorite.